"I'm 15, so I can have a racing license, but I can't have a driver's license right now." 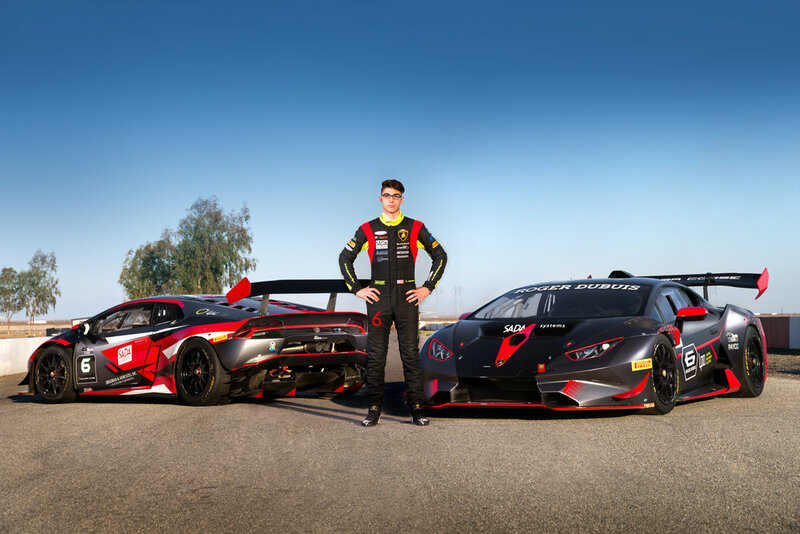 That's Los Angeles native Steven Aghakhani, the youngest driver ever to qualify for a Lamborghini Super Trofeo race. He'll be competing in the series at Laguna Seca this September. 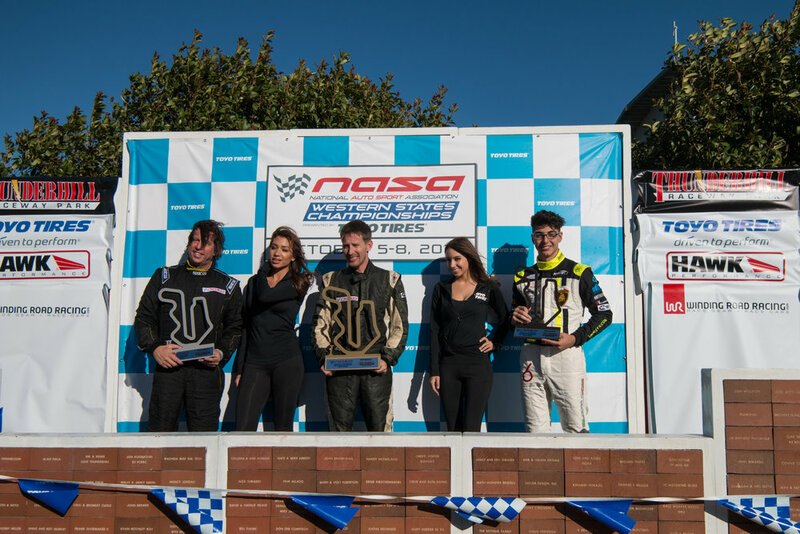 Steven wins the SCCA Southern Region GT1 championship race at Laguna Seca! Race for a Cause Charity Event! Join us at the track for a fun day of racing for a good cause. Visit the link below for tickets! For a young driver bringing home your first championship is a memorable thing. Being it your very first year and the youngest driver to ever win the Championship makes it even more profound. Steven showed maturity and true professionalism this year as he completed and won his first Championship in the NASA Southern Region. As this season comes to a close we as a team and family are beyond proud of Stevens accomplishments and enthusiastic about what is to come in 2018. Thank you to all of your sponsors for your continued support and friendship. Steven got the rare opportunity to meet and pick his brain on racing and what it takes to become a legend. Steven takes home 3rd place in NASA Western States Championship!! Click here to see all the photographs! Check out my latest interview with LA TIMES! Like most 14-year-olds, La Cañada High School student Steven Aghakhani has never driven on city streets and has to lean on older sister Nina or call for an Uber whenever he needs a ride to school or a friend's house. Click the photo to view the gallery! Steven had two podium finishes this weekend at NASA Buttonwillow winning 3rd place and 1st place now making him the points leader in his class for the Southern Region of NASA Pro Racing. Steven takes the Silver 2 days in a row at Nasa Button Willow! Steven battles at his home track to take the silver medal both days! Click the photo below to view more! Steven wins 2nd place at his first NASA Super Unlimited Race!!!! The new year brought with it new liveries for Steven Racings line up along with our new sponsors for the season. Check out the newest photos of the cars new look on the track and the team! Check out photos here! Steven Wins at Global Time Attack Super Lap Battle 2016! Click On The Photo Below To View The Photographs! Steven Wins at Global Time Attack! Steven placed First in Global Time Attack Pro/Comp at Willow Springs International Raceway and P2 overall!! Steven is training for next months F1 preparation on the driving simulator with Team US Racetronics! Steven drove 56 laps and hit a 1:25 driving an Audi R8LMS at Laguna Seca on the simulator! 068: Steven Aghakhani tells us how he manages being an 8th grader who also races supercars! 13 Year Old Racing A Lamborghini Super Trofeo! Stay Connected with Steven Racing with our Monthly Newsletter!